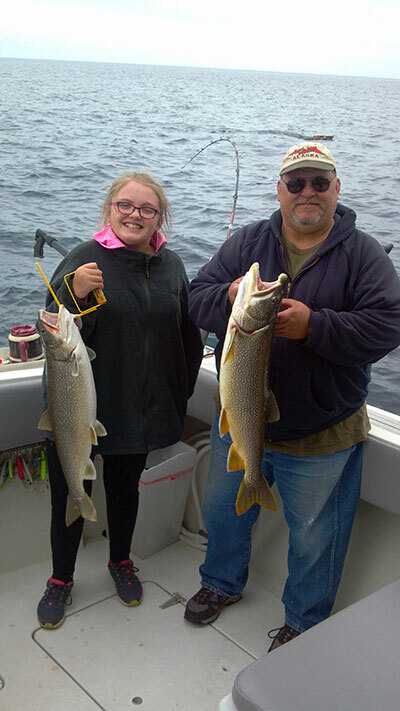 Lake Trout are out in the deeper water of 160-200 foot right now. Try dodgers with spin and glows or clean spoons off the downriggers from top to bottom. 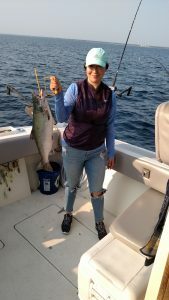 Walleye and some Atlantic Salmon have been taken North of the harbor in 60 to 80 foot of water using small spoons and body baits. Try some 2, 3, 7, and 10 colored lead lines off the Offshore boards. A few Steelhead have been taken fishing closer to the top around the color lines on bright colored spoons.